Citizens must be mobilised and empowered to lead effective energy and climate transition. Citizens leading Ireland’s Energy and Climate transition is the focal point of an upcoming conference which will take place on Wednesday, September 12th in Hotel Minella, Clonmel, Tipperary. The conference will support and inform the ongoing National Dialogue on Climate Action and will be hosted by Tipperary Energy Agency, a non-profit social enterprise, the conference ‘Citizens leading the Energy and Climate Transition’ will see leaders in climate change from across Europe take part. Key insights into sustainable energy use and implementation will be shared in what will be one of the largest gatherings of representatives from the sector to take place in Ireland. 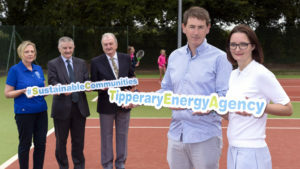 The event was launched in Nenagh Tennis Club, today, Wednesday August 8th by CEO of Tipperary Energy Agency Paul Kenny, Vice CEO of Tipperary Energy Agency Paula Gallagher, John Fogarty of Templederry Community Wind Farm, Deputy Manager of Tipperary County Council Matt Short and Nenagh Tennis Club President Margaret Folan. In partnership with the European Covenant of Mayors Initiative the conference will focus on how citizens can lead effective energy and climate transition on a local level and in collaboration with local authorities. In June, Ireland was singled out as the second worst country in the EU to progress towards renewable energy and climate changes. If these goals are not met by 2020, an annual fine of €500 million will be implemented. “Promoting and supporting Ireland’s energy and climate transition while building on national policy so that Ireland can achieve a low carbon and climate resilient future will be the dominant topic of this conference. For 20 years, Tipperary Energy Agency has been supporting the reduction of energy demand across the county. Enabling people, communities and the public sector to become more sustainable in their energy use has been key to this.” Says Paul Kenny, CEO with Tipperary Energy Agency. Nenagh Tennis Club is one of more than 50 community organisations who have availed of supports from the agency in reducing their energy consumption. In 2017, €6.5 million of energy upgrades took place in Tipperary with funding from the Sustainable Energy Authority of Ireland through their ‘Better Energy Communities’ scheme. Tipperary County Council is also one of Ireland’s best energy performing local authorities. This was in collaboration with the European Investment Bank Elena Programme. The county leads the way in pioneering energy projects such as Ireland’s only community owned wind farm in Templederry, the country’s first Ecovillage in Cloughjordan and a substantial Solar Panel project across 9 public buildings. Compared to 2016, Ireland is now in a worse position regarding climate targets. In 2017, just 37 per cent of new homes fitted heating systems which use renewable energy. A staggering 63 per cent used tradition fossil fuel boilers and Tipperary Energy Agency say that these homes will eventually need to be retro-fitted. Emissions in the country are on the rise by 2 million tonnes per year. Some of the esteemed names who will speak at the conference include; Christiane Egger, Upper Austrian Energy Agency, Marie Donnelly of Tipperary Energy Agency and formerly of the European Directorate-General for Energy, Anette Jahn of the European Commission’s Executive Agency for SME’s along with John Fogarty who leads Ireland’s only wind farm. Tipperary Energy Agency is a non-profit social enterprise that has been leading the energy transition, locally and nationally, for 20 years. 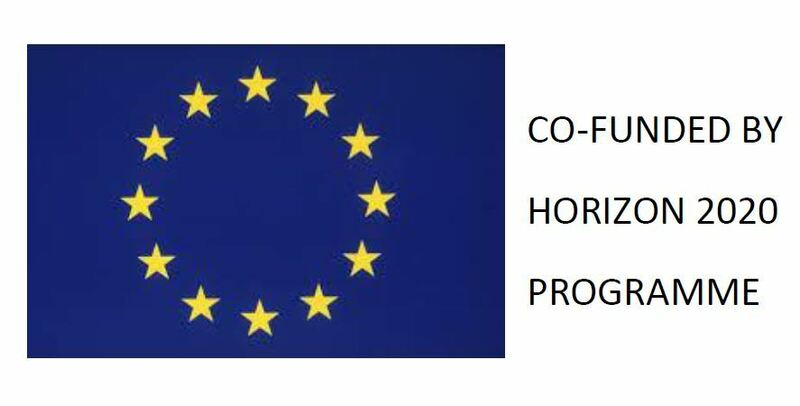 Together with their partners in Tipperary County Council and Limerick Institute of Technology the organisation are now widely recognised as leaders in the implementation of Ireland’s energy transition both in Ireland and the E.U. 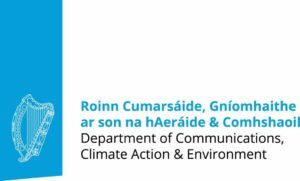 The conference is supported by FEDARENE, Covenant of Mayors for Climate and Energy, Department of Communications, Climate Action and Environment along with Tipperary County Council. For full details of the conference & to register to attend click here.